We have seen some mixed feelings about these (the Beauty Blender remains a crowd favorite). But they are PRETTY, and also, inexpensive. The silicon sponge is cost effective because it eats up less product than any other porous sponge would. The results achieved are similar but take teenie bit more work, which in my opinion, is worth the extra 30 seconds. And the real bonus is I get to buy less bottles of foundation and concealer. You can't hate until you try it! Effective beauty storage is underrated, especially when constantly working on the go. Although these may look like a 90s throwback and seem somewhat gimmicky, the portability of the Caboodle doubles as a mobile makeup vanity. This item has 100% changed my life for the better. The face steamer aims to naturally hydrate your face, especially in super dry climates like Los Angeles. It brings that glow which over the years, gets harder to achieve whether its with my skincare and / or makeup. A huge advantage is that is also completely wakes up my face and de-puffs my eyes on super early morning calls when I have to be on camera. It has saved me time and time again on my worst skin days with very little sleep. This item has gained popularity, since Nurse Jamie and her celeb clients are all raving about it. 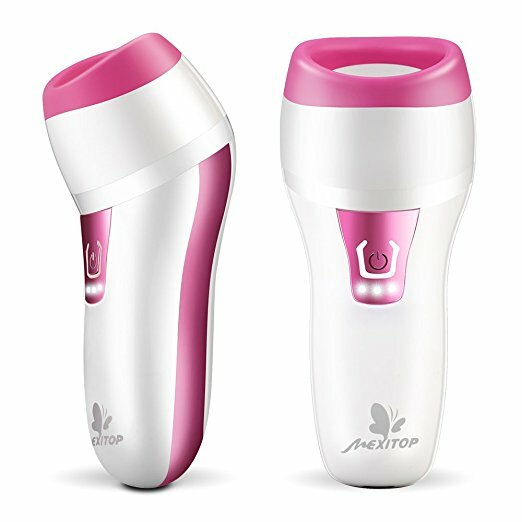 Her original tool retails for $69, but this beautiful pink one can be purchased for just $21.99 on Amazon! This is considered a workout tool for the face, aimed at relaxing facial muscles and stimulating sluggish skin cells, preventing signs of aging. On my most troll-like days, this gem has helped relax my face after short nights. It will make me look more rested than you actually are. There is only so much makeup can do when it comes to hiding a poor skin regime or sleep schedule, but this does the trick for sure. Natural beauty is still important to me. But let's be real, who wouldn't want amazing luscious lips that are all over Instagram? That said, I am aware some people REALLY take it too far. Hence why, before opting for needles, look into this natural method which is painless and chemical-free. If you haven't added any of these items into your chart yet, WHAT are you doing?